Is 2019 The Year Live Streaming Becomes Mainstream? When we were in broadcast news, the TV stations we worked for were (and still are) on a perpetual quest to GO LIVE! The reason I put those words in bold type, all caps, and with an exclamation point at the end, is because that’s how loud the bosses would say it in our ears, seconds before we went on the air. I always wondered why people would care about GOING LIVE in front of a dark building with no one around, for an event that happened 7 or 8 hours earlier. Ask most reporters who GO LIVE today, and if they are honest with you, they’ll say the same thing. Well, here’s one explanation for it. Even before Live Streaming became the new go-to platform for modern and tech savvy users, focus group after focus group told us that when you GO LIVE people watch. Period. That’s why there’s a sense of urgency when viewers hear “Happening Now!” or “Breaking News!” Viewers tend to look up when they can get a peak at something happening at that moment. As a sports fan, I remember watching a midnight batting lesson taking place in some batting cage just because it was happening at that moment. I was tired and ready for bed, but watched it anyway. That’s why so many organizations are starting to look at Live Streaming as a way to set themselves apart from the competition. If done right, it’s engaging. It’s a way to interact with a larger audience in real time. When you go to a conference in Las Vegas, Dallas, or anywhere USA, you probably either attend or host a presentation of some sort telling potential people about your company, your new product, or both. The people in that conference room are all engaged, or at least that’s your hope. But the question is quickly becoming, why are you just presenting to the people who could make the trip, and to the four walls surrounding your presentation? You are, in essence, holding yourself hostage to a much larger group who would have loved to see your presentation if they could have made the trip. Sharing live events (and recording them for later viewing) is about to become mainstream, if it’s not already. It’s a way to make your audience feel more connected to your company. 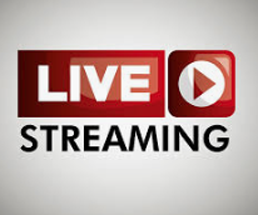 Whether you’re presenting, hosting informative interviews, talking about a new product, or just showing some of your customers from around the country a “behind the scenes look” at your office, Live Streaming will attract current and new customers to your business. We caution you not to just use a cell phone and hope the connection holds. Your business is too important. Have it done professionally, with a live director who can present timely graphics, and provide a multi-camera shoot. If you aren’t “GOING LIVE!” in 2019, don’t be surprised if your competition is.